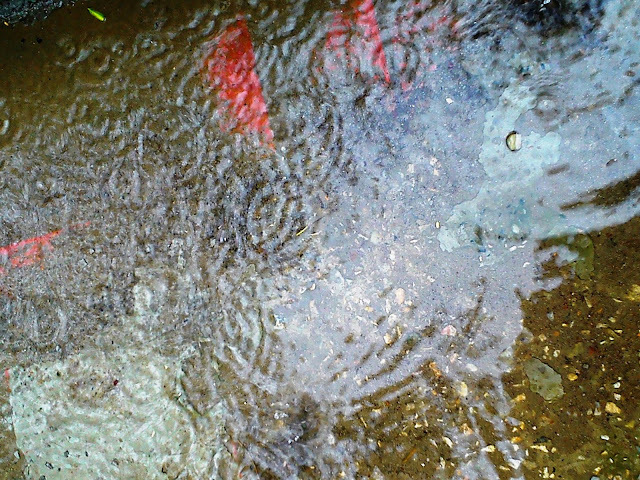 Monsoon is a beautiful season, when the hard-hitting sunrays are overpowered by dark clouds and soft showers. It might fill the town with puddles, yet it remains one of the favorite seasons among Indian people. It is exclusively considered the season of hot ‘pakodas’ and ‘chaats’. Unfortunately, I cannot include “Maggi” in this list since it got banned in Delhi. 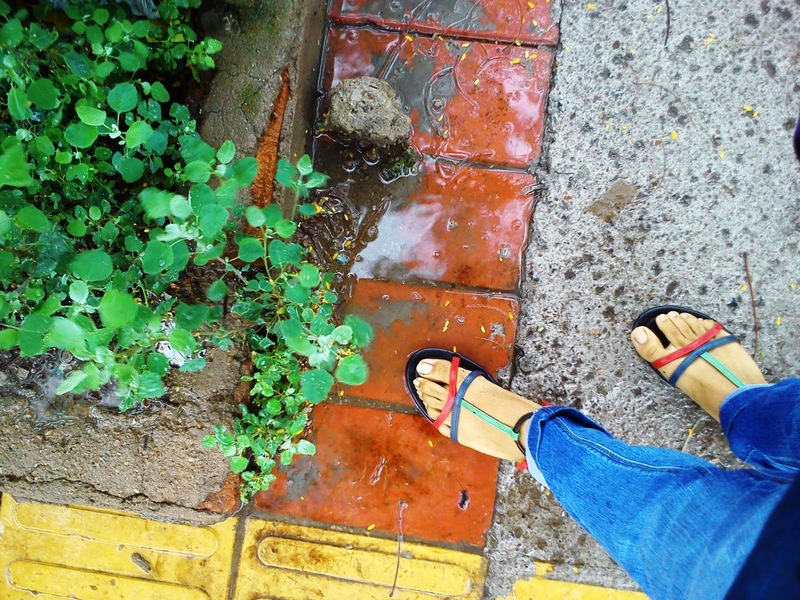 · During the season of monsoon, instead of using hair ties, opt for clutcher or a large hairclip. When your hair gets drenched in such weather then it would be easy enough to open them for air drying (without breaking them) and later you can clutch them back once dried. Another reason for this is, during monsoon, your hair are prone to breaking more than usual days. Thus, a hairclip is recommended rather than a hair tie. · Never ever step out of your house wearing shoes that cover up your toes. 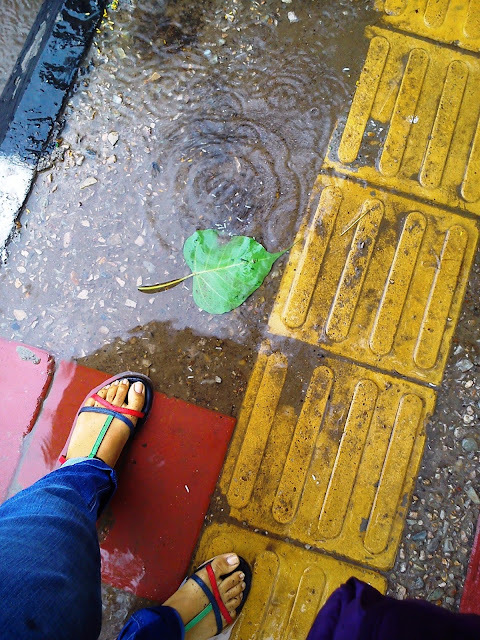 For monsoon, it is highly advisable to wear sandals which are open and can let your feet breathe even if you’ve splashed into a puddle (intentionally LOL). This would help you to stay away from feet infection, since monsoon is a season full of germs. 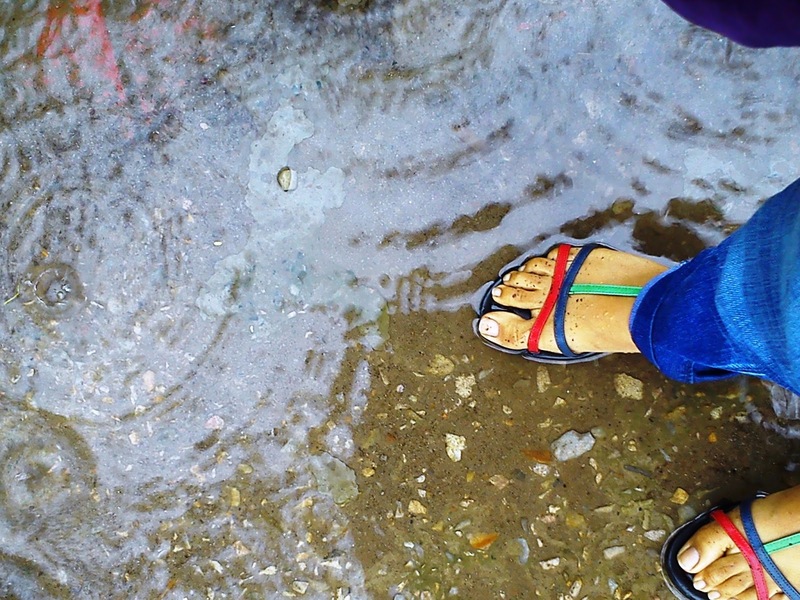 Markets in Delhi and NCR regions are flooded (not with rain water) with plastic sandals which are specially made for rainy season. These can be easily purchased for RS 200 and are high on style. · Always carry an extra top/shirt/tee in your bag so that you can change your clothes immediately after you got drenched. This would minimize your chances in catching a cold. Please remember, try to avoid white during this season. · Lastly, if you are one of those who love makeup, then opt for water-proof products so that rain does not turn you from a glam diva into an actor playing the role of a ghost! If not the foundation/base or lip colour, then at least stick to this rule for your eye makeup.